UNESCO is pleased to announce the International Jazz Day Global Host Cities for the next two years will be Saint Petersburg, Russian Federation, in 2018 and Sydney, Australia, in 2019. International Jazz Day is celebrated annually on 30 April in more than 190 countries. The day pays tribute to the art form of jazz and its power to promote dialogue among cultures, embrace diversity, and deepen respect for human rights and all forms of expression. The cities of Saint Petersburg and Sydney were chosen for their unique contributions to the development of jazz. The jazz scene in Russia was born in 1927 in Saint Petersburg with the appearance of the “First Concert Jazz Band” in the concert hall of the St. Petersburg State Capella, followed by the creation of the first jazz collective in 1929. Saint Petersburg is the only city in Russia to have a Jazz Philharmonic Hall, founded in 1989. Festivities are set to take place in some of Saint Petersburg’s most significant venues, such as the Mariinsky Theatre. Saint Petersburg’s bid to become a host city was supported by renowned Russian saxophonist Igor Butman. In Australia, jazz is a flourishing art form, which in recent years has seen an increasing number of players and growing audiences. Australia is host to the world’s largest youth jazz festival, “Generations in Jazz,” which is held in the city of Mount Gambier. 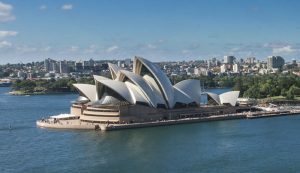 Sydney plans to hold the flagship All Star-Global Concert in the iconic Sydney Opera House, a UNESCO World Heritage Site, and the streets of the city will come alive with jazz through a daylong programme of “Jazz in Squares,” featuring school bands and jazz combos. Other cities across Australia expected to join in the multi-day celebration include Adelaide, which is a UNESCO Creative City for Music. Australia’s celebrated jazz musician James Morrison was instrumental in the effort to secure Sydney’s bid to host International Jazz Day 2019. 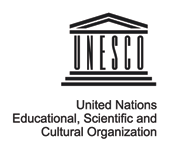 In addition to the main events in Saint Petersburg and Sydney, UNESCO will continue to encourage the participation of schools, universities and non-governmental organizations, as well as public radio and public television around the world. 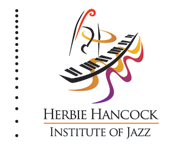 Various performing arts venues, community centres, artists, arts organizations, libraries and educational institutes will also organize activities around jazz. 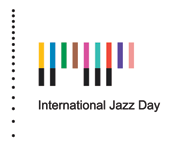 UNESCO Member States created International Jazz Day following a decision made by the General Conference in 2011. The International Jazz Day celebration was launched with major events in New Orleans, New York City and Paris (2012), and in the Global Host Cities of Istanbul (2013), Osaka (2014), Paris (2015), Washington, DC (2016) and Havana (2017). For the first time in 2017, UNESCO opened a call for candidacies to host the event in 2018 and 2019. 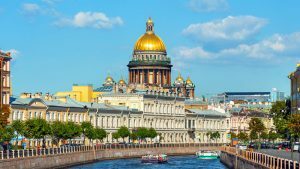 The Advisory Committee for International Jazz Day voted unanimously for Saint Petersburg and Sydney, out of the numerous applications received.